Jerusalem, a place everyone remembers / they have forgotten something but they do not remember what they have forgotten. / And in order to remember I / wear on my face my father’s face. / This is my city where the vessels of my dreams / are filled like oxygen tanks for deep-sea divers. / The holiness there / sometimes turns into love. 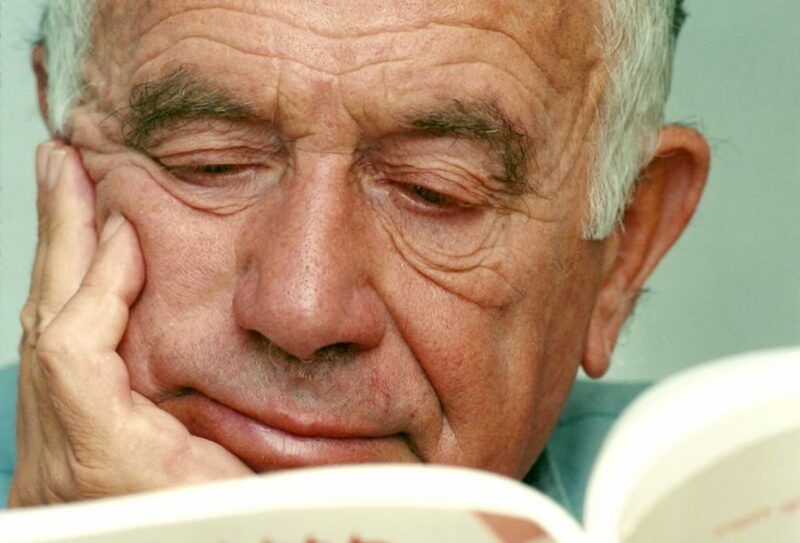 Yehuda Amichai was Israel’s most quoted and beloved poet, who wrote the survival guide to Jerusalem for the people who live there. He was a voice from the street, who wrote about love with an echo of war, and about war while hinting at love. 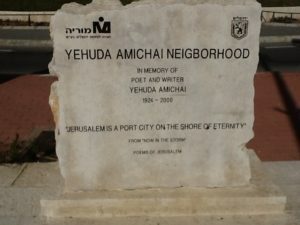 Amichai came from an Orthodox background and in 1935 moved from Würzburg, Germany, to Palestine. “I am lucky; I am from one of the very few Jewish families from Central Europe where the whole tribe lives in Palestine,” Amichai once recalled. He fought as a volunteer in the British Army and later in the Palmach, the underground pre-Israeli-state commando force. He studied literature and biblical studies at Hebrew University in Jerusalem and taught at a secondary school for many years. During his long and prolific career, he wrote about 1,000 poems and published 25 books of poetry. He received the 1982 Israel Prize for Hebrew Literature, the Brenner and Bialik prizes, and was also a candidate for the Nobel Prize in literature. “When we read Amichai, we feel as if he has written his verse in our kitchen, in our living room, in our bedroom,” Israeli novelist Amos Oz commented in Tel Aviv’s Yediot Aharonot.